Now in its third year, the Arun to Adur Farmers Group has several projects underway to improve and enhance the wildlife, cultural and historic value of the project area. One such project is a breeding wader survey in the Arun Valley that started this spring. The overall aim is assess how birds such as lapwing and redshank are faring, and to use the information gathered to inform on-farm management and improve habitat for them in the future. The surveys, undertaken by a group of experienced volunteers, started in mid-March and ran through to the end of June. 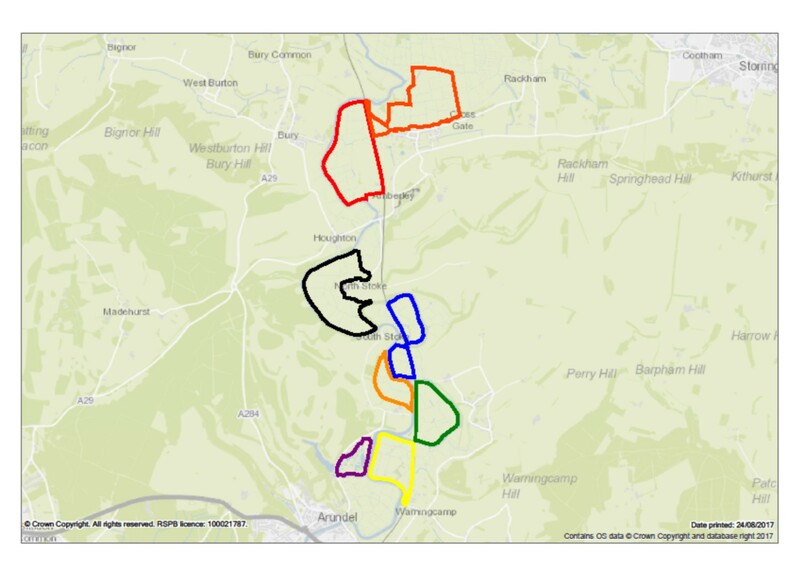 Visits were made to key sites between Arundel and Amberley, with the Sussex Wildlife Trust, Wildfowl and Wetlands Trust and RSPB covering their land up to Pulborough. The surveyors identified the number of waders present at each site, and later into the season how many chicks were present and how many made it through to fledging. Early results suggest a good breeding season in the valley, especially for lapwing. One site in particular, Offham Farm run by Ryan Haydon, proved to be particularly good. Low intensity grazing by the on-site dairy herd and water control in key fields allowed Ryan and his team to provide ideal conditions for waders, and the lapwing certainly responded. Across three core sites, 16 breeding pairs of lapwing managed to fledge at least 13 chicks. This gave an overall productivity of 0.8 chicks/pair, above the 0.7 chicks/pair needed for a sustainable population. This result was especially impressive given the dry spring we experienced, although that seems a distant memory now after the rain started in June! 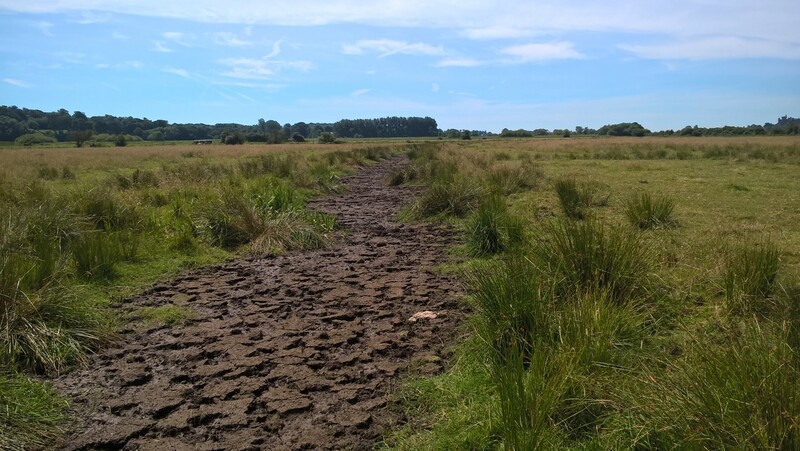 Waders require areas of soft, open mud to forage in, and was a key part of the success at Offham Farm. Ryan is currently in the process of renewing his HLS scheme into a new Countryside Stewardship Scheme, and the data gathered from this year’s survey will be a great help to ensure management is targeted in the most appropriate areas. An event this autumn will provide an opportunity for the surveyors and farmers involved to get together, discuss the findings and plan ahead to next season. As well as the data gathered, this will also provide an opportunity to share best practice management, what works and what doesn’t, so that more areas can be improved for breeding waders in the future.